the necessary paperwork was not submitted in time. No official announcement has yet been made by either club. As part of the deal to sell De Gea to Real, United were planning to bring Keylor Navas in the opposite direction. There is no precedent for Spanish clubs being given additional time to conclude transfers as there is in England. Blame for the failure to complete the deal is already being apportioned. headquarters until a minute after the 23:00 BST deadline. In their defence, United say they have a receipt that proves they submitted the relevant documents in time. 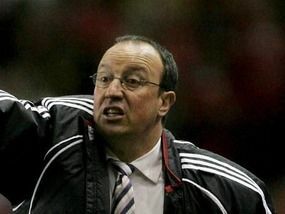 responsible for sanctioning international transfers. What now for De Gea? Well, if Real Madrid don’t appeal, or they do appeal and fail to push the transfer through, then he’ll be back at Old Trafford competing for a place in the United starting line-up. 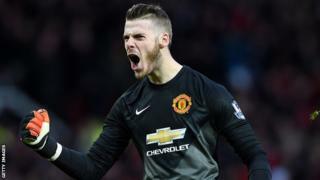 He’ll be up against Sergio Romero, the Argentina number one, and Victor Valdes, who, like De Gea, was linked with other clubs but stayed. to international duty with Spain. September and in Macedonia on 8 September. They seem pretty relaxed about it all. If De Gea ends up staying, then they have a world-class keeper to call on. If he goes, then the Navas deal could still happen. 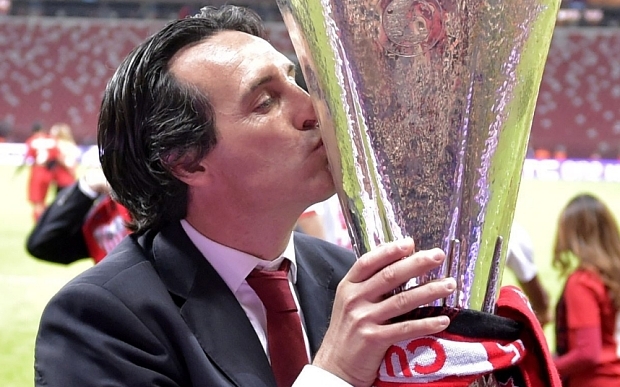 Arsenal, Chelsea, Manchester City and Manchester United will find out their Champions League group stage rivals when the draw is made on Thursday.. The 32 teams in the draw will be put into eight groups of four. Spain, England, Germany, Italy, Portugal, France and Russia – rather than being based on club co-efficients. the top pot as Netherlands are the eighth-ranked association. A team from each of the four pots will be drawn into the eight groups, with no more than one team from any one country in each group. Madrid and Sevilla, who qualified as Europa League winners. defeating Juventus in May’s final. leagues get most qualifying spots for its competitions – by a considerable margin. 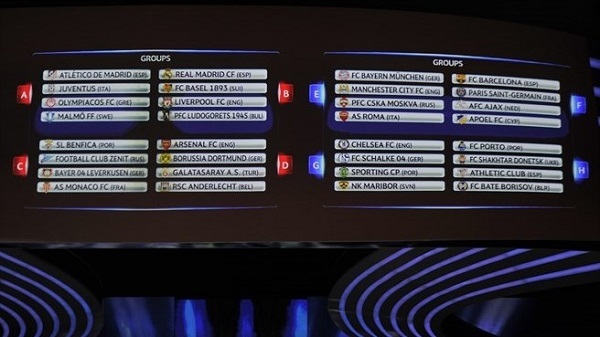 With the group stage draw for the UEFA Champions League held Arsenal and Manchester City were handed old foes, Borussia Dortmund and Bayern Munich respectively while Chelsea seem to have the easiest of the lots from England. Manchester United replacement Liverpool have to battle it out with defending champions, Real Madrid. Five time winners Liverpool will be confident of qualification from their group. However, they will have to tackle the tournament holders, Real Madrid, on the way. Chelsea will be even more confident though. While no Champions League games are easy, they have some…well…easy games. Despite the difficulty Celtic had, The Blues shouldn’t struggle against Maribor. They have potentially tough trips to Germany and Portugal though, they will still be expected to top their group. Arsenal’s progression will be more of a challenge. Borussia Dortmund await the Gunners, as well as a tough trip to Turkey to face Galatasaray. It’s Manchester City, however, who have it hardest out of the English sides. They have two ties against European superpower Bayern Munich to negotiate with Roma drawn as the lowest ranked side in their group. Last years losing finalists have been drawn with Italian giants Juventus but it’s their compatriots Barcelona who sit in the inevitable ‘group of death’. They will battle it out with French champions Paris St Germain and Champions League regulars Ajax. Have Your Say: Which team will come out of the Groups into the round of sixteen? 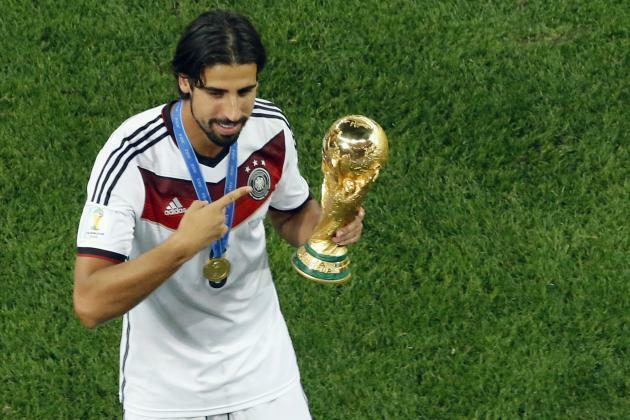 The transfer saga surrounding the movement of World Cup and UEFA Champions League winner, Sami Khedira from Real Madrid to Arsenal will finally be laid to rest today as the German is about to be unveiled today by the Gunners. Despite the denials by the agent of Khedira and the reluctance by Arsene Wenger to ascertain his intent on the player, reports have confirmed that the player is set to be unveiled today at the Emirates Stadium as an Arsenal player. Reports gathered from the Metro suggested that the Gunners had agreed a fee of £19.8million which is totally contrasting to earlier report that Khedira is set to negotiate with Mourinho’s Chelsea after it was reported that Le Prof is finding it difficult to meet the wage demand of the player and his agent. The new thing however is that Khedira is about to open a new chapter in his career with the move to the Emirates. Arsene Wenger was impressed by the strong German during the World Cup in Brazilwhere he helped Germany triumph. Arsenal will look to unveil German midfielder Sami Khedira as their third high-profile signing of the summer after the north London side registered a bid that has been accepted by La Liga side Real Madrid. The Gunners are believed to have spent the past three days locked in talks with the 27 year old battler’s representatives and have come to an agreement on personal terms, despite the vehement public denials and are confident a deal will be secured in the next 24 hours. The figures surrounding the deal is believed to be €30m (£24m) for Real Madrid while Arsenal are ready to hand Khedira a four year contract with a £140k a week deal. Such a deal would see Khedira reach parity with the club’s current top earner Mesut Ozil, with the former Real Madrid man incidentally a major factor in relation to Arsenal’s push to land the Bernabeu star. Though Chelsea are thought to be chasing Khedira it’s the player’s friendship with Ozil that is proving key to Arsenal’s advances. Indeed the presence of national team colleagues Ozil, Lukas Podolski and Per Mertesacker will lead Khedira to make a move to north and not west London. The World Cup winner is seen as a replacement for Spanish veteran Mikel Arteta, who’s form last term was distinctly average, hence Wenger’s push to bring in a fresh central midfield addition. Khedira can offer bite in the centre of the park and is an excellent distributor of the ball but seemingly a player Carlo Ancelotti is ready to cash-in on as Real Madrid look to fund a big money move for their top summer target, Colombian youngster James Rodriguez. After the signing of Alexis Sanchez from Barcelona and Mathieu Debuchy from Newcastle United, Arsenal manager, Arsene Wenger is not relenting as he is looking forward to complete the signing of four players this week to turn the Emirates side to a formidable squad that can compete on all levels come next season. With that the once thrift Frenchman will see out his spending for the summer and concentrate on blending the squad. Arsenal are set to sign Nice goalkeeper David Ospina in the coming week with the report emanating from the Daily Star, with the Gunners agreeing terms with the French outfit. Reports in France are suggesting a deal has been agreed between the clubs, with personal terms currently being negotiated. The transfer could be announced as early as next week as Wenger looks to add to his two solid signings of Alexis Sanchez and Mathieu Debuchy. Ospina has been made the Gunners top target after a solid World Cup with Colombia, and with his current terms set to expire with Nice next summer, he is available for a reasonable £3million. The 25-year-old has made 177 appearances for Nice in his six years with the club, earning 44 caps for Colombia in the process. The 1.83 m (6 ft 0 in) high goalkeeper fits the bill for Arsenal who require someone with plenty of experience who can challenge Szczesny for the No1 shirt, but still has the potential to grow and develop. The story surrounding Sami Khedira to Arsenal from Real Madrid is expected to be layed to rest on Monday when Arsenal will look to unveil German midfielder Sami Khedira as their third high-profile signing of the summer after the north London side registered a bid that has been accepted by La Liga side Real Madrid. FootyOnside gathered that the Gunners have spent the past few days locked in talks with the 27 year old battler’s representatives (despite the vehement denials) and have come to an agreement on personal terms and are confident a deal will be secured in the next 24 hours. The figure gathered by FootyOnside can reveal that figure to be €30m (£24m) with the Gunners ready to hand Khedira a four year contract with a £140k a week. The Gunners are bent on activating the release clause of £24m for French winger Antonie Griezman who plays for Real Sociedad. He was a standout performer in the Spanish La Liga last season. The French international scored 20 goals for Real Sociedad thus emerging as a transfer target for top clubs in Europe. The 23-year-old’s desire to work with fellow Frenchman, Arsene Wenger and the amicable settlement of the Carlos Vela issue edge the Gunners to the frontline for the race for this exciting winger. Though the contract still has some grey areas to iron out, however Griezman is also set to complete his medical at the Emirates Stadium and be unveiled sometime next week. Gunners are close to landing former Manchester City and AC Milan striker, Mario Balotelli as Arsene Wenger is prepared to meet the new valuation that the San Siro side put on the 23 year old Italian international. Le Prof was irked by the foot dragging in the Loic Remy transfer issue and learning that the Italian side are ready to lower their valuation to £15.8m which Arsene feels is moderate enough for his Emirates side to meet. The Gunners are still keen on adding another attacking options despite the addition of Sanchez as Wenger plan to play the Chilean out wide. 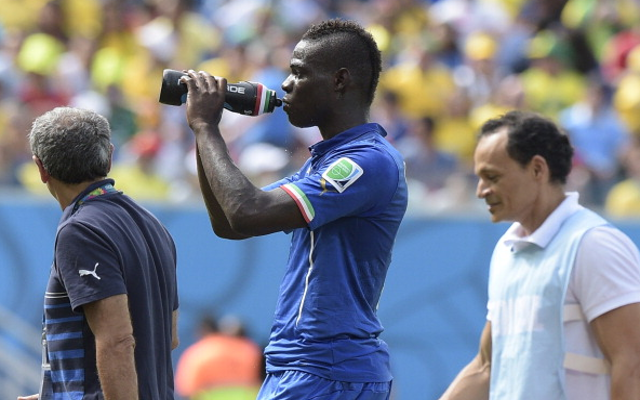 Balotelli is seen as the man that could offer respite for overworked Frenchman, Olivier giroud and also give him a fight for the starting berth in the team.